Still snowing hard, temperature dropping fast, and no barn for me today. 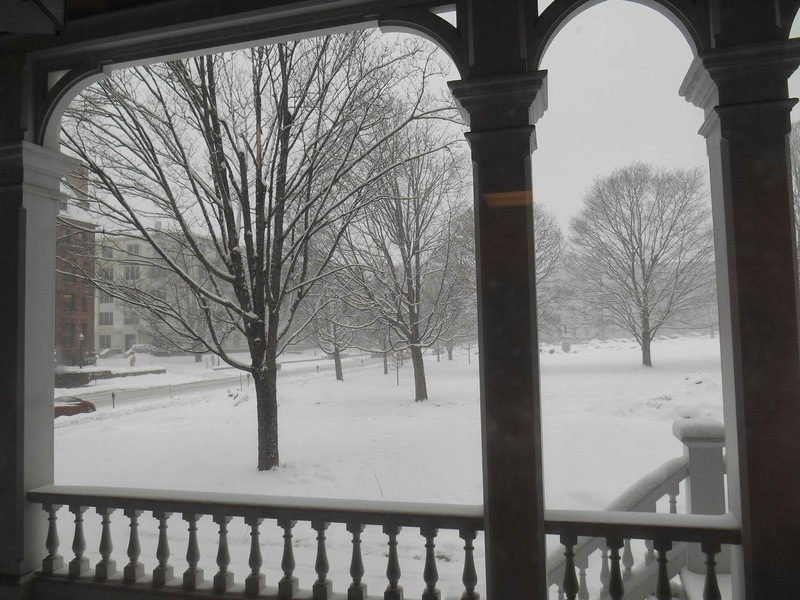 This is what it looked like outside my office window last night; add another foot of snow and you’ve got this morning. Good news: I have finally downgraded to a normal(ish) bandaid on my hand after either wrapping it or using the XXL size for a month. 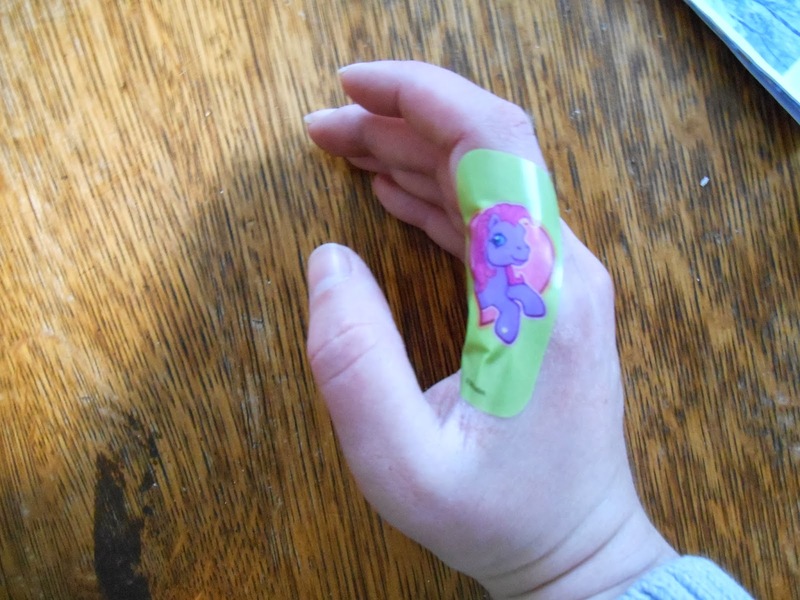 Better news: the oddly shaped yet adorable My Little Pony bandaids I bought like 6 years ago are perfect for my purposes! Previous Post How do you read blogs? Next Post What vaccines did my horse get? Sooo glad we missed all the snow down here. I do not envy you guys. And I love the bandaid! Fun Bandaids make everything better. It was 60 and sunny and absolutely beautiful on Tuesday and then it snowed and dropped nearly 40 degrees on Wednesday. Seriously done with winter!